Imtiaz Ahmed is an educationalist. He did his Masters in Social Sciences and obtained a Law degree at the University of Dhaka, Bangladesh. After having moved to the UK for further education, whilst studying Law at the University of London. His growing interest in philosophy of education allowed him to study for and obtain a PGCE from the University of East London. 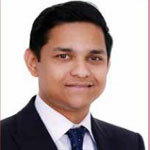 He has been enrolled as an advocate with Bangladesh Supreme Court and a member of the Sylhet District Bar Association. 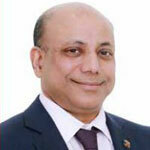 Mr. Naveed Rashid Khan currently resides in Dubai, U.A.E. There he has established his own organization, Commodity First DMCC, a firm specializing in the Trading of agricultural commodities and agri-inputs like Fertilizers, Fertilizer raw materials, wheat, rice, etc. His company has a global footprint for the Trade & supply of Fertilizers with many markets like ranging from Asia to Europe. Mr. Khan holds a Bachelor of Social Science degree in Economics and Business Finance from Brunel University London, United Kingdom. 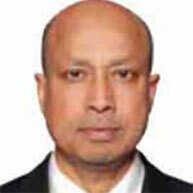 He is the Deputy Managing Director of Seamark plc in the UK, Seamark (BD) Ltd and IBCO Food Industries in Bangladesh and Seamark USA Inc in the USA, which are all part of the Seamark Group of Companies headquartered in Manchester, England. The Group employs 4,000 people worldwide with distribution networks in Europe, the USA and Canada. He takes full control of the Seamark Group in the absence of its Chairman and Chief Executive and is in-charge of the Group’s operations, including imports and the running of Seamark’s UK factories. He is responsible for all matters relating with production, including the processing and value adding of major seafood and their exports to both Western and Eastern European countries, the Middle East and Russia. He also oversees the running of the Group’s operations in Bangladesh, especially exports resulting in a number of gold medals and trophies for highest exports awarded to Seamark (BD) Limited from the Government of Bangladesh. In 2016, Kamal received from the Prime Minister the national export trophy award for highest exports during the years 2011-2012 and 2012 – 2013. Seamark UK is also a recipient of an award for its export achievement - the prestigious Queen’s Award. In addition, Kamal oversees the operations of the Group’s hospitality sector – the famous Vermilion Restaurant and the newly opened Vermilion Hall, as well as the retail sector – Restaurant Wholesale Cash & Carry. He always make time lending his support to many charities and fundraising appeals that the Group is involved in and associated with. He is a Trustee of the Iqbal Bros Foundation Trust registered in the UK. He has completed a degree in Business Management from Manchester Metropolitan University, UK. Mr. Ali Ahmed is a Director of NRB Bank Limited and also a member of Audit committee of the Board of Directors of the Bank. Mr. Ahmed comes of a very respectable family in Bangladesh. Director, BJ Brown Business Ltd.
Director, AA Express Food Dist Ltd.
Mr. Md. 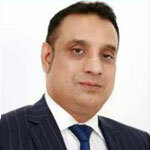 Motior Rahman is an Independent Director of NRB Bank Limited and also a member of Audit Committee of the Board of Directors of the Bank. 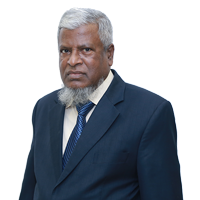 A postgraduate in Accounting from Dhaka University, he started his Banking career in 1973 as Probationary Officer in Pubali Bank Limited and retired as Managing Director from Jamuna Bank Limited in 2012. During his 40 years of long service period, he served a number of reputed Banks i.e. Pubali Bank Limited, Islami Bank Bangladesh Limited, Prime Bank Limited and lastly Jamuna Bank Limited in various capacities.